Is it snowing in The Canyons ?¡Gracias! 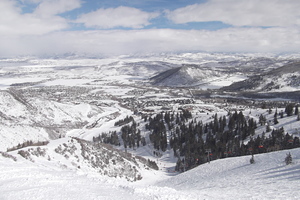 The Canyons, in the United States (Utah State), is a large resort with 18 lifts (2 Gondolas, 14 chair lifts, 2 surface lifts) that offers skiers an impressive 972 metres (3,190 feet) of vertical descent. 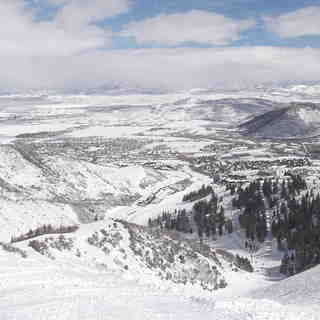 The Canyons has 3700 acres of terrain over 167 trails. 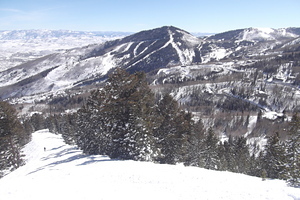 The Canyons is best suited to intermediate skiers and snowboarders but there is some terrain for beginners and some great advanced slopes. Cross country skiing is available at nearby Park City. For snowboarders, there are two terrain parks and 6 natural ‘half-pipes’. The nearest airport is at Salt Lake City. The resort village has a number of lodging options, from comfortable condos. to well-appointed hotels. The dining and nightlife are relaxed, but take a free shuttle bus to Park City and you will find plenty of options, both laid back and lively. Why does Vail raise food prices during holidays? Everything is already expensive.